This home will delight your senses! With a perfect blend of impressive space, fantastic attention to detail and updated for today's lifestyle. 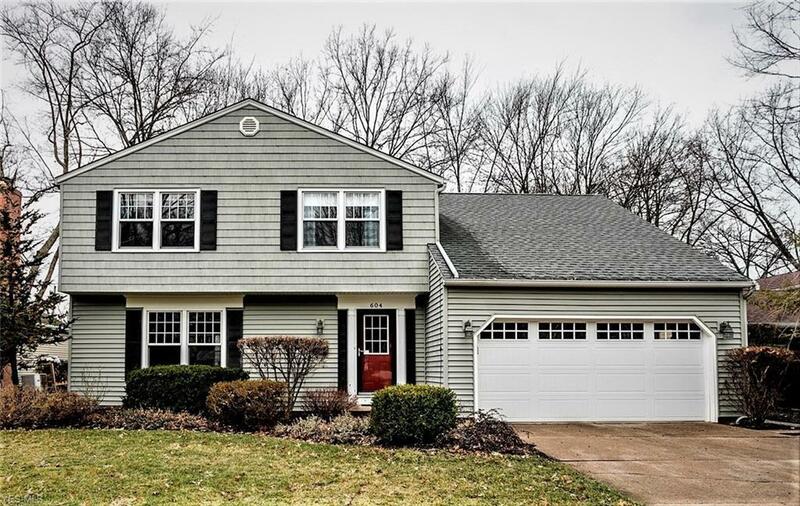 This 4 bedroom home has been transformed by the current owners and includes updated kitchen & master bath, a beautifully finished basement, and a gorgeous outdoor entertaining area. It is situated on a deep lot with abundant, mature landscaping that provides unparalleled beauty and privacy. This home has been meticulously maintained and updated, and is in excellent move in condition. The Family Room offers a raised hearth gas fireplace, solid hardwood flooring, and is large enough to accommodate large family gatherings. The Kitchen has raised panel cabinets, ceramic tile flooring, and all of the storage and counter space the chef in your family will need. With four large bedrooms on the 2nd floor, this home has all the space your growing family needs. Kids old and young will love spending time in the finished basement...with a large theater space, fitness area, and laundry/craft room. Finally, your pet will love to roam free - the entire yard (front and back) is wired with an invisible fence! Call to schedule your personal tour soon - this one won't last!